Sapper musket will come as separate item for attaching. I will also be able to fix the musketeer and Guards Musketeer around the same time, so all figures should be able to be released together. I am also hoping you may begin to purchase a limited numbder of the figures at CanCon. I should have about 20 of each command figure available. There will also be some of the Musketeers, which will be going cheap and they should make good alternative figures and/or imagi nation options. You will be able to pick them up a bit cheaper than normal to! Just see Matt (aka BlueWillow) at the show! Grenadier greens arrived at home today. So everyone is aware process from here is that i have about 6 weeks to get these guys into production before i go on my next work trip. i will then send a pile of weapons and equipment back to the sculptor and we will move onto the next batch. I finally (big sigh here) have a metal preproduction casting of the Musketeer. I will am waiting for more castings to arrive and will from there get the production mould made along with command figures. This will all happen next week. The Grenadier production mould is done and figures are ready to go. So in nutshell i expect to have all moulds done by end of next week with figures ready after Easter. Only that long as i am taking family away for long overdue holiday week starting 18th, so nothing will be done till i return. Anyway, here is a long wanted comparison shot with a Minden figure. Height wise they are similar, but as you can see, aside from that they are quite different. Legion Britannique have been started and i expect a pic of the first green this weekend. Once i confirm the Legion figure, i will start getting the French worked up. it has been an extremely long road to here so far with everything (and allot more) that could go wrong, has gone wrong. To help relieve the pain of this i will be offering the first releases at a special price of $1.75-$2.00 per figure. I will also be offering a pack of 10 muskets as a stand along pack. I sure people will find a use for them. Casualties: Still wanted?? and if so standing, lying or sitting? Any general opinions about Jaeger and Tricorne lace? or was it plain? Also with regard to Lapels??? on or off? well even if the tricorne border wasn't coloured there would be a stitched black border on the tricorne that was black..no lace..
as you can see they actually do have lapels and one hat has no cockade and pomp pom and the other doesnt , and one has gaiters and the other has boots ..take your pick..i would do gaiters..and then there are offciers etc..
actually the second fellow has two cockades.. Casualties, all three types please, thank you! I was in a generous mood.. The Lapel point is interesting Gmundner Prachtwerk indicates Lapels. Of the three Corps Scheither's did not though it appears. Boots would indicate mounted Jaeger. We can do a lace edge on Tricorne and just paint plain if not wanted to be seen. easier to paint over than try and paint it on. I have to disagree about the boots.Boots don't necessarily mean mounted at all , many jaeger units, especially Prussian , are portrayed wearing heavy jacked boots but never ride..
Decided to add a Grenadier to the Jaeger as well! Admin Fella wrote: The Lapel point is interesting Gmundner Prachtwerk indicates Lapels. Of the three Corps Scheither's did not though it appears. 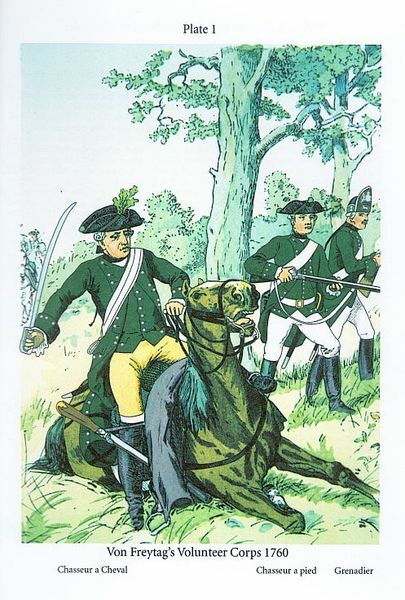 Many countriesunits had a lapel indication without an actual lapel, Jagers wore boots whether mounted or not it was pretty much standard uniform for this type. All the initial releases are now up on the website. All prices have been revised and i think you will be happy with them. I have also listed a series of preproduction castings at a further reduced price which will be periodically available in limited numbers. All pre production castings and the Grenadiers are now available. All going well (that is Nic making the moulds next week) the rest will be available by the end of next week. There is also a set of muskets available as a stand alone pack. I have new sculptors on board and all now have dollies etc and the next figures are currently being worked on. I expect a much better turn out of figures now that we have moved onto new sculptors. I have just commissioned weapons and equipment for the French and Artillery/Labourers and i will be moving onto these as soon as ready. 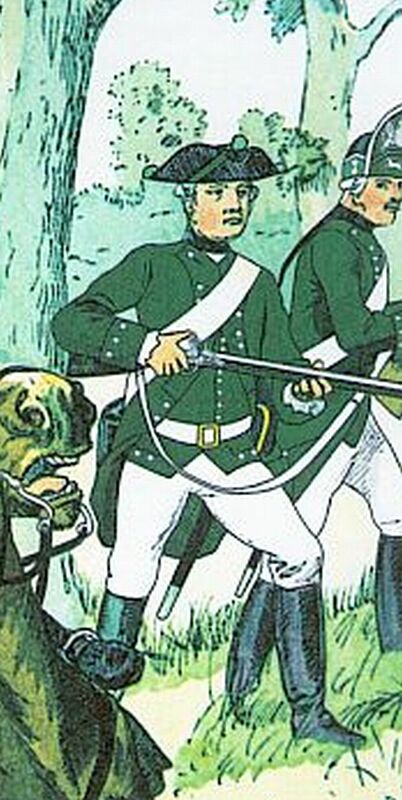 What is the minimum size for a Grenadier unit including command? Say for M&R? along with basing? 2. I get to 14 figure and the postage was just not on.. it was at $11.00 for fourteen figures..
Yep you can direct from me. I will check the warning message issue. I will check the weights as well for postage. $11 local allows up to 3kg (approx) of metal, so no issue there. I also state that any excess postage will be refunded. I am not in the business of trying to make money from post. thats fine.. though it did say 14 figures was 1.4 lbs and ..weird things those carts , ok will pm you with an oirder and you can tell me the all up cost with 10%s etc and I can bank transfer or paypal, or bank transfer which is better for both of us I think.. they do look nice..
ok i think i have fixed the weight thing. For information the figures have all been designed around the battle of Minden as the period point of reference. As a result in some cases the figures will be different from other ranges. The range is not designed to copy any other. Where there has not been conclusive evidence to determine a certain point, a decision has been made on most likely look and guidance from compariable armies. An example of this is the bomb cyphers on the cartridge cases of the Grenadiers. Put on there, but can easily be removed if you do not agree with them (We could not find sufficient evidence either way). Some may disagree with the course we are taking, but as we all know not everyone can be pleased, i hope what can be agreed upon is the coverage we have started with (The Sapper is a personal favorite of mine) and intend to offer through all the ranges. 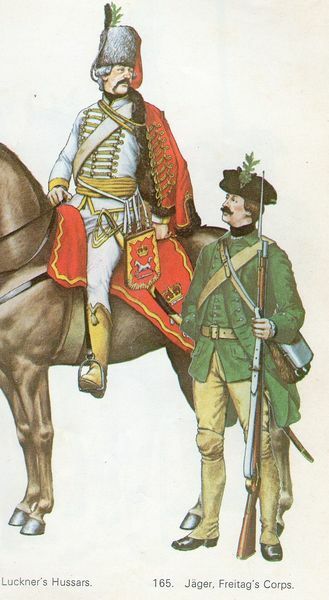 This will continue with the French where we plan to offer a minimum of 3 types of Musketeer and also the Hanoverian Jaeger where we have decided to add a Mounted Jaeger and Grenadier! Yeah we have a basic layout for the figures prepared. The changes at that time are going to be an issue, but i am sure we can work something out. Well I hope so , nobody else has done much of a job of it..front rank sort of come close..foundry is, as all their latest SYW, sort of all over the place..Minden is plain wrong for SYW . well not totally wrong but very limited..Crusader , half baked and all over the place..mind you they are easier than doing Prussians correctly but that isn't saying much..Russians would be the simplest Army in the World to represent..then Swedes and Austrians aren't much of problem ,,French , a bit of a night mare..
Yeah, as a rough basis we have decided on turnbacks, bayonet/sword belt under coat, horizontal duck toe pocket, no lapels on this first figure. 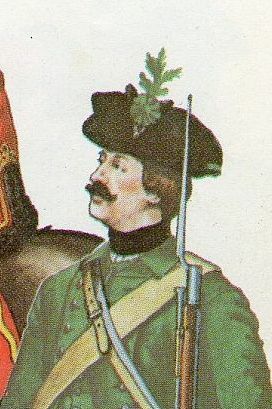 Grenadier in bearskin Mitre.